Beat The Spring Rush! February & March Special 10% Off All Screen & Window Repairs. As a family owned and operated since 1942. There are currently three generations participating in the daily operations of the business. Come Visit Us at the Edmunds Ace Hardware Antrim or Henniker Locations for the MONTHLY FLYER! Find and follow us on your favorite social media platforms, inlcuding Facebook and Google+. We will keep you posted on the latest promotions, services, and events going on at Edmund’s Ace Hardware, so make sure to connect with us. We are also available to answer any of your questions. 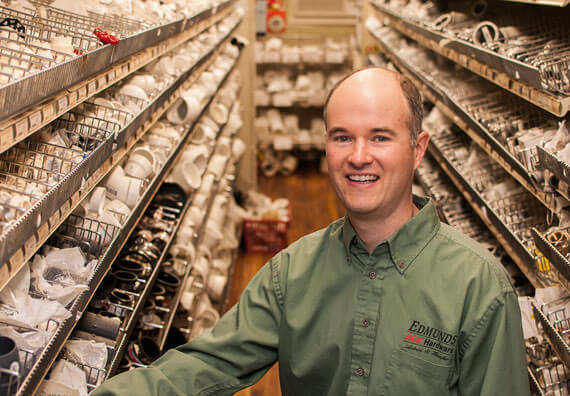 Edmunds Ace Hardware is a recognized Benjamin Moore Signature Store. We carry the full line of Benjamin Moore Paint, including the new Aura line of products. Edmunds Ace Hardware is a Factory Authorized Weber Service Center and Part Supplier. We offer the lowest prices available. Call for pricing! Download our montly flyer to get the lastest deals and exlusive offers! Edmunds Ace Hardware is proud to be a BBB Accredited business. We work hard every day to provide our customers with the best possible service experience.